(By Steven Borowiec, The Christian Science Monitor, 8 July 2013) After 16 hours of negotiation North Korea agreed in principle to normalize operations at the inter-Korean industrial complex, which has been idle for nearly three months. North Korea met over the weekend with South Korea on its side of Panmunjom Peace Village, taking steps to normalize operations at the jointly-maintained Kaesong Industrial park – an idled symbol of inter-Korean economic cooperation. North Korea agreed to permit businessmen to visit the complex Wednesday to check out the facilities that have been idle since April, when North Korea blocked South Korean workers from entering the complex and then pulled out some 53,000 of its own workers. 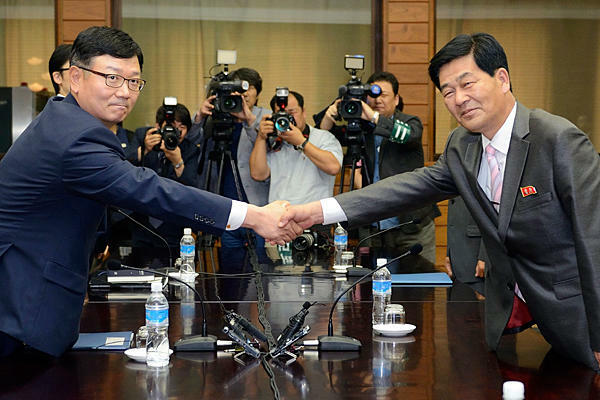 The two Koreas are planning to hold talks Wednesday about restarting business at Kaesong. Analysts say that for North Korea, restarting operations at Kaesong could be less important than using the negotiations to extract larger forms of support from South Korea. In fact, says Dr. Petrov, domestic media reported that North Korea has dispatched its workers in provinces away from the complex, which indicates that perhaps it doesn’t plan to resume operations there in the near future. More than 120 South Korean companies once operated at Kaesong, which opened in 2004 as a project to pair South Korean manufacturers with inexpensive North Korean labor. 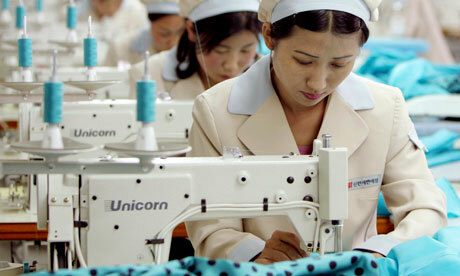 South Korean companies paid workers wages that were high by North Korean standards. In 2012, the industrial park, largely seen as an achievement in inter-Korea ties, produced $470 million worth of goods and earned North Korea about $80 million in workers’ wages, according to South Korea’s Ministry of Unification. 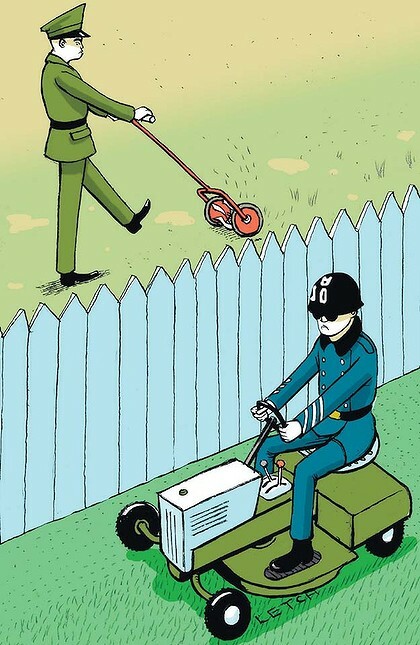 Before the talks, North Korea gave permission to South Korean businessmen to visit the complex, but the Park Geun-hye government in Seoul insisted that inter-Korean exchange go through the government, not through private groups or individuals. On June 9, the Koreas held working-level talks, the first inter-Korean talks for two years. Those were meant to be preliminary discussions ahead of minister level talks that were scheduled for later that week, but the second talks were called off after Seoul and Pyongyang couldn’t agree on the rank of the delegation leaders. In the first few months of this year, North Korea was exceptionally hostile with its rhetoric, making violent threats against Seoul and Washington. Analysts say the more conciliatory approach seen in this weekend’s agreement to allow visits is part of a typical pattern of behavior where Pyongyang alternates threats with moves toward rapprochement. Coming into this weekend’s negotiations, South Korea said it would seek a written guarantee from North Korea that Pyongyang would never again unilaterally shut down the complex. Analysts see this as a potential stumbling block in Wednesday’s scheduled talks; North Korea may object to making any promises about what it will do regarding facilities that are in its territory. (by Tania Branigan, The Guardian, 8 April 2013) North Korea has said it will recall more than 50,000 workers from the industrial park it runs with the South and consider shutting it permanently, spelling an end to inter-Korean co-operation. Pyongyang has engaged in weeks of angry rhetoric in response to a UN security council resolution expanding sanctions following its third nuclear test and to ongoing joint exercises by South Korean and US forces. But analysts noted that while the latest move by Pyongyang was substantive, it was also a non-military one made amid concerns that the North might be planning another missile or nuclear test. The Kaesong industrial complex has been a much-needed source of income for the impoverished North and a cheap source of workers for labour-intensive South Korean firms. He did not mention the 475 South Korean managers still at Kaesong. The North has prevented personnel and supplies from entering from the South since last week. According to Associated Press, about a dozen of more than 120 South Korean companies at Kaesong have halted production owing to lack of supplies. One possibility is that the North believes it must threaten a clearly valuable asset to send the message that it is serious in its stance. Another possibility mooted by experts is that it could hope to expropriate the factories and hand them over to members of the elite, bolstering domestic support for the regime.